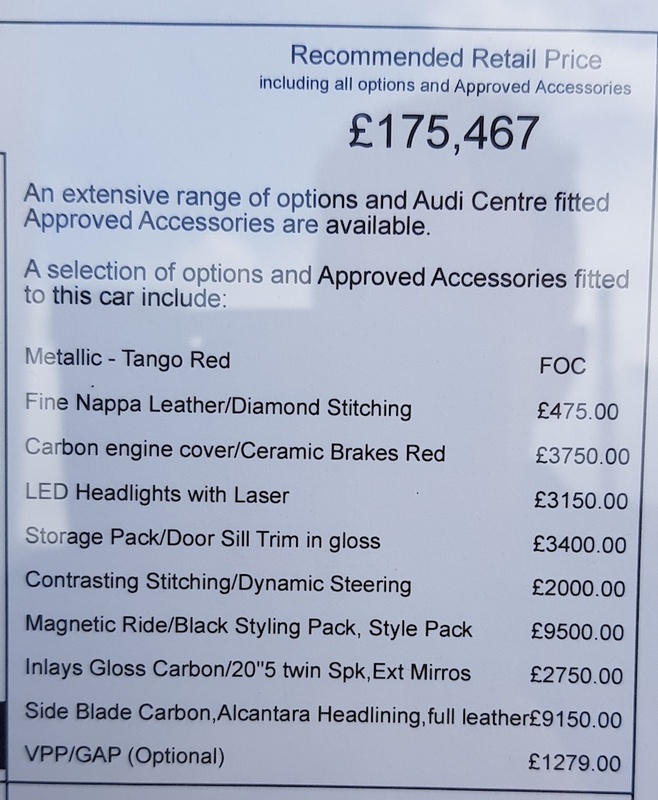 Left my car in for the breather hose recall and couldn't help but spot this stunning Tango red Performance with black badges and a ***t load of options totalling £34k+. I don't think you could even spend that much on the previous Plus, as carbon blades etc were standard. Some of the package combinations seem rather odd; it may just be how the dealer has displayed them on the stand. Overall, I'm not really taken with the facelift - the horizontal black band at the back doesn't show much imagination, the front is better but a bit busy now with some strange angles, and the large oval pipes protruding from the rectangular carbon housing looks like a design fail IMO. Still a stunner though, but not for beauty. Factory black badges look good and I ordered up a set from the Parts Manager today (for less £$ than posted elsewhere in this forum). Hopefully pick them up on Friday and I'll post the part numbers if any one is interested. Michelin PS4S are fitted to this car which is good news. Note they have the AO (Audi Option) homologation rather than the gen1 and gen2 RO1 / RO2 (quattro) homologation. Another thing I noticed, the pipes from the silencer box down to the exit ports are now wrapped in a heat shield material; you can just about see it the square-on rear photo below. Last edited by steve9; 04-02-2019 at 11:08 AM. 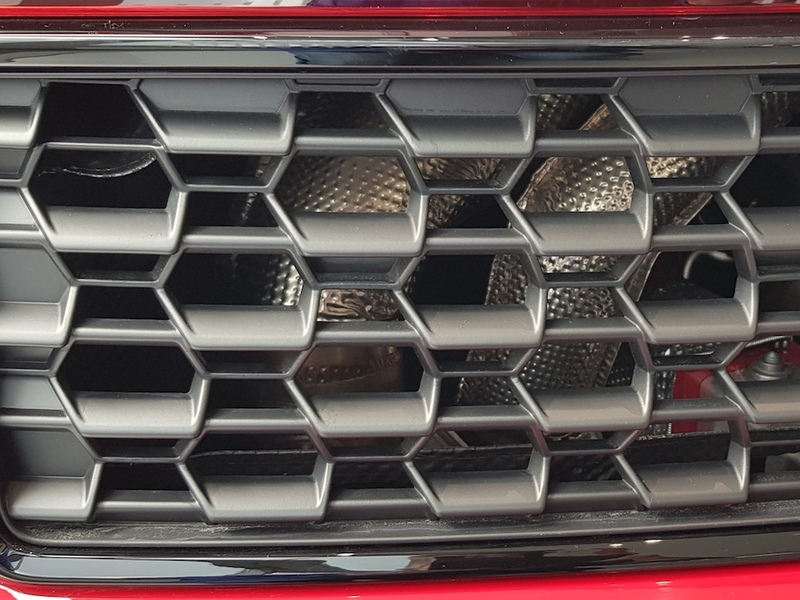 Best part is still the R8 grill badge. Lovely looking car but not at that price thanks. Don't beat about the bush, do you like it? yes or no? 2003 996 Turbo / Evoms It tune and TCU / Moton suspension /BBS RGT wheels / Fabspeed exhaust / more CF goodies. Those are some of the goofiest looking wheels I've seen. I won't mention the fake vents. I was feeling the front in the promo shoots but for this one, I’m not liking anything. New Audi TT RS - R8 performance?